When your outfit calls for sultry suede accents, Modern Vice~s Adele platform pumps are the perfect choice. These gorgeous pumps are sure to get you noticed in all the right ways! Easy slip-on wear. Leather or glittering upper. Pointed toe. Lightly cushioned leather footbed. Wrapped heel. Man-made sole. Imported. The Sperry Jewelfish Custom Lace Up offers you two looks in one. Keep your plans loose and your laces interchangeable. With sculpted lines for an ultra-flattering fit and easy lacing for a customizable look, the Jewelfish pumps up any outfit, and any odyssey. 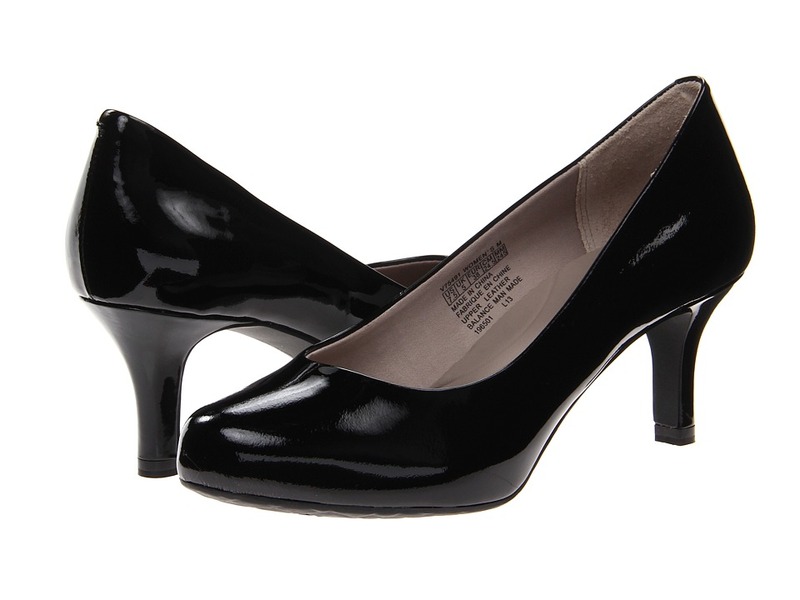 You can~t go wrong with these Karolina classic pumps from Kate Spade. Available in satin, suede, patent, or printed leather upper. Round-toe silhouette. Breathable leather lining. Leather insole with embossed logo. Wrapped heel. Leather sole. Made in Italy. This item may ship with an attached security tag. Merchandise returned without the original security tag attached or a damaged tag may not qualify for a refund. Measurements: Heel Height: 3 1 2 in Weight: 7 oz Platform Height: 1 4 in Product measurements were taken using size 6, width M. Please note that measurements may vary by size. Weight of footwear is based on single item, not the pair. 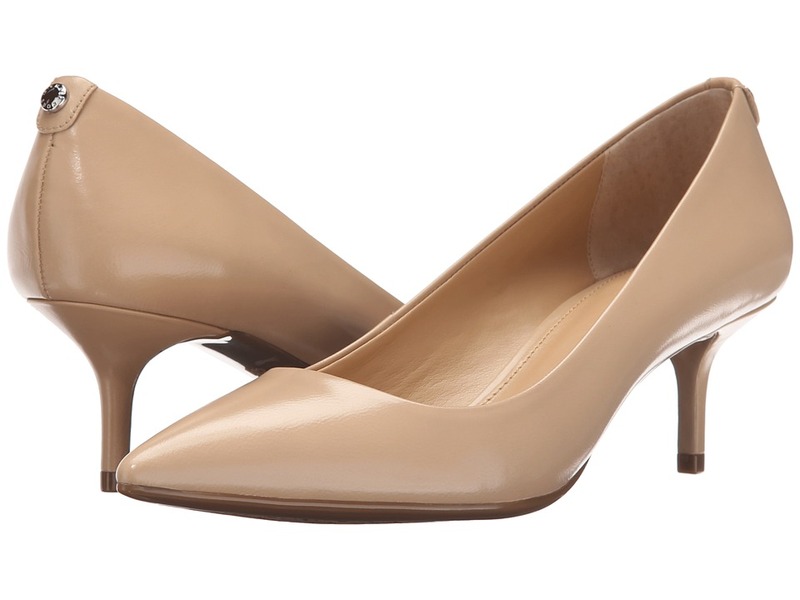 Stand perfectly poised in these pretty patent pumps from MICHAEL Michael Kors. Rounded toe. 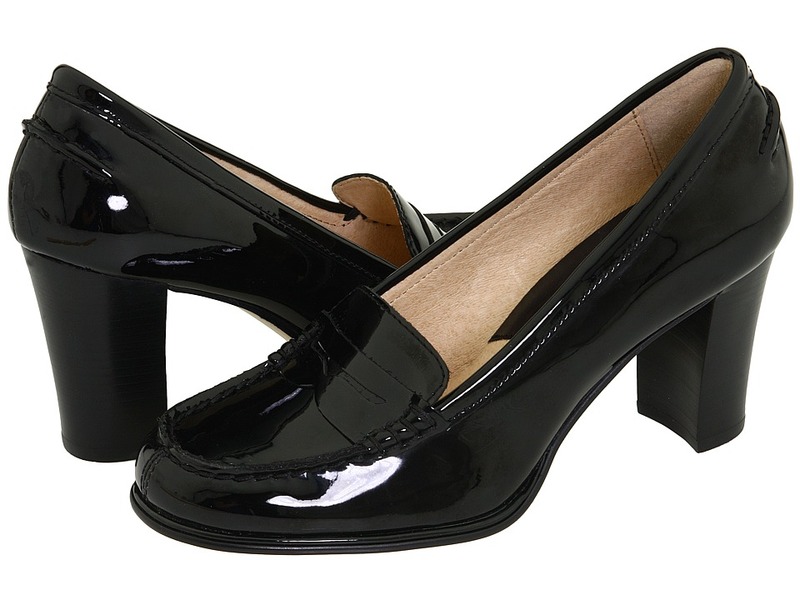 Shiny patent leather upper with stitch detailing. Penny loafer styling on the vamp. Leather lining. Leather insole with brand detail on the sole. Stacked block heel. Rubber sole. Imported. Measurements: Heel Height: 2 1 2 in Weight: 9 oz Platform Height: 1 4 in Product measurements were taken using size 6, width M. Please note that measurements may vary by size. Weight of footwear is based on a single item, not a pair. Hit the streets in sleek style when you step out in these posh pumps! Comes in a leather, suede, patent leather or man-made upper. Easy slip-on wear. Man-made lining. Lightly cushioned man-made footbed. Wrapped heel. Man-made sole. Measurements: Heel Height: 4 in Weight: 9 oz Platform Height: 1 2 in Product measurements were taken using size 8.5, width M. Please note that measurements may vary by size. Weight of footwear is based on a single item, not a pair. Love hurts. Just because you adore your new pink pumps, doesn~t necessarily mean they~ll adore you or your feet back! Turn ouch into oomph, and keep your style spectacular with the help of this Foot Petals kit! This feet-loving kit includes: (1 pair) Killer Kushionz - full insoles that provide ultimate support and can be worn in open-toe shoes and sandals. (1 pair) Amazing Arches - shoe cushions that provide arch support and help distribute weight evenly while reducing foot fatigue. (2 pairs) Tip Toes - ball-of-foot cushions that stop feet from sliding forward. Made from PORON performance urethanes which help stop friction, prevent blister and calluses from forming, protect bones and tissue, and provide overall comfort. This lightweight material keeps your feet cool, dry and comfortable with every step. 1. Remove adhesive backing. 2. Place the widest part of Tip Toes cushion towards the front of the shoe right below toes. Area must be clean and dry. 3. Press firmly in place. Adhesive is permanent, not recommended to remove and reuse. Imported. You just purchased the most fabulous stilettos, even the fiercest fashionistas in the Big Apple would be jealous. However, there is one little problem ... they~re just a little too tight. You don~t want to return them, scratch that, you can~t return them because they are just so beautiful that they are going to be a permanent staple in your wardrobe. What to do, what do do ... wait! All of a sudden you remembered that you purchased this Stiletto Stretcher from Foot Petals, you dig it out of your closet and slip it into your new heels. By this time tomorrow, those stiff stilettos should be broken in, comfortable, and ready to wear to that gala you~re attending. Wooden stretcher that is specifically designed for high heels, pumps, and stilettos. 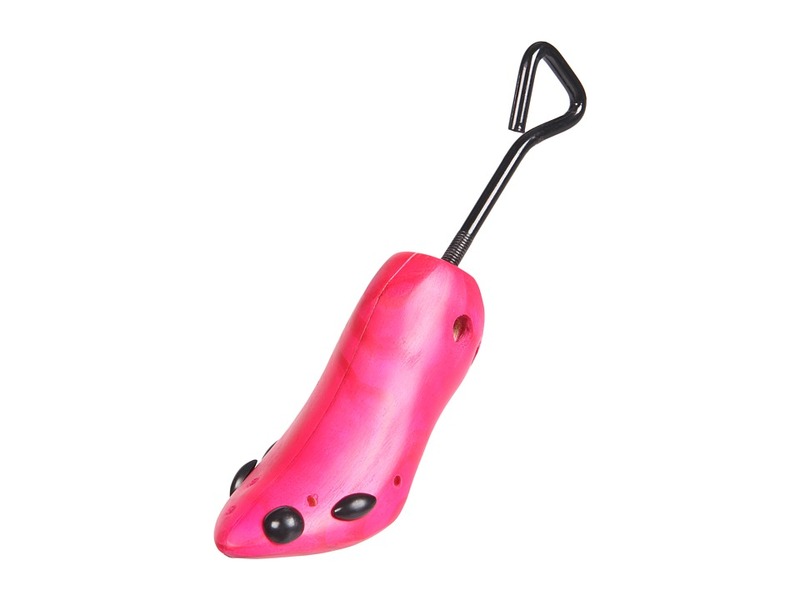 Comes with bunion stoppers that can be moved throughout the specific holes on the stretcher to aid in pressure relief of specific areas on the foot. Stretcher is able to expand to suit a multitude of heel ranges. Single shoe stretcher can be used in left or right shoe. Helps ease the pain of tight high heels. Helps achieve your perfect fit with every shoe. Hang in closet or any easy access area. Imported. Make a posh statement with these sleek pumps! Available in a variety of uppers. Easy slip-on wear. Synthetic lining. Lightly cushioned leather footbed. Wrapped heel. Leather sole. Imported. Measurements: Heel Height: 3 1 2 in Weight: 7 oz Product measurements were taken using size 7.5, width M. Please note that measurements may vary by size. Weight of footwear is based on a single item, not a pair. From the office to weekend adventures, these Rockport&amp#174 pumps are stylish and sophisticated to take you wherever you need to go in glamour. Part of the Rockport&amp#174 Seven to 7 Collection. Full grain leather or suede upper in a classic pump silhouette. Slip-on design for quick and convenient on and off. Man-made lining and a man-made footbed that is cushioned to offer all-day comfort and support. Lightweight comfort system designed to provide shock absorption in the heel and rebound at the forefoot. Durable rubber outsole. Imported. Measurements: Heel Height: 2 1 2 in Weight: 11 oz Platform Height: 3 4 in Product measurements were taken using size 9, width M (B). Please note that measurements may vary by size. Weight of footwear is based on a single item, not a pair. 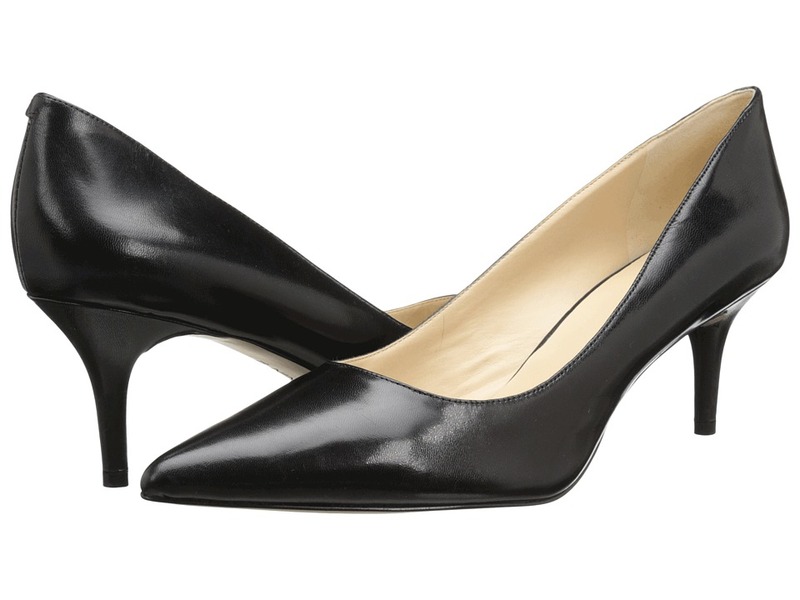 These sleek pumps are perfect for those Monday morning meetings! Easy slip-on wear. Available in a variety of uppers. Pointed toe. Leather lining. Lightly cushioned leather footbed. Wrapped heel. Man-made sole. Imported. Measurements: Heel Height: 2 1 4 in Weight: 7 oz Product measurements were taken using size 8, width M. Please note that measurements may vary by size. Weight of footwear is based on a single item, not a pair.